As a father of four children, there are many proud moments in my life. I am now blessed to have healthy, happy and talented children who have grown into adults committed to justice and making governments and churches accountable for their wrongdoings. Ashley and Lydia Kelso work full-time in the firm’s Sydney office near Circular Quay. They have over 15 years legal experience between them and are a formidable team. 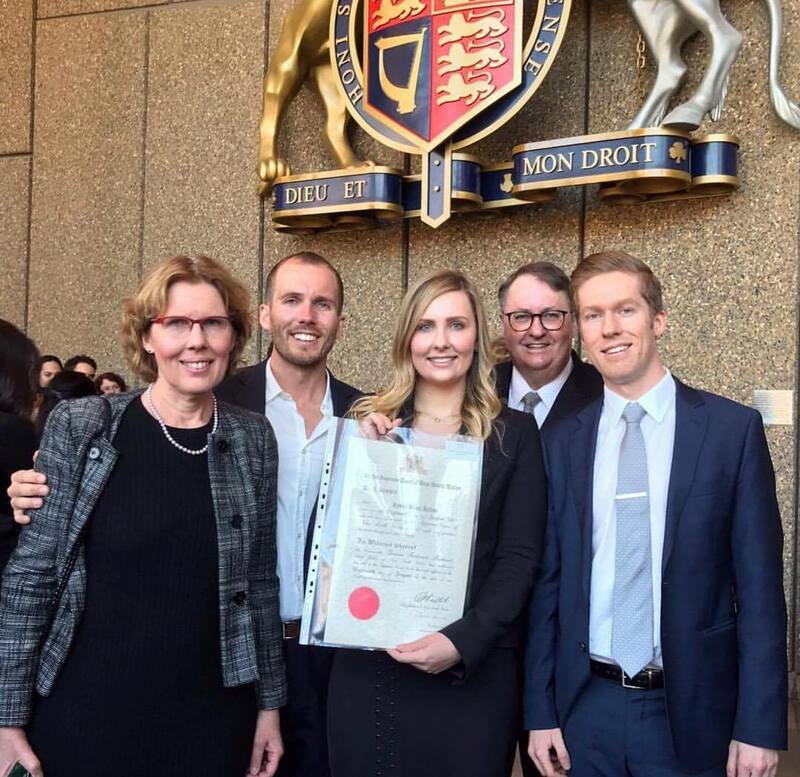 Ashley, my eldest son, is a Senior Associate and is the manager for the Sydney branch of Kelso Lawyers. Ashley has a Juris Doctor law degree from UNE and a degree in mechatronic engineering (robotics) with honours from Newcastle University. His degrees required long hours of study, a keen intellect and tremendous attention to detail. He’s used to the fine details, strategising and researching every possibility. It’s not everyone’s cup of tea but Ash revels in proving a point and getting a great outcome for his clients. His tenacity and cunning make for a lawyer dedicated to getting the best results possible. Ash has adapted his skills to everything from submission writing to the Royal Commission, developing mathematical algorithms for mediations against the government and taking on the Attorney General’s Department at the NSW Civil and Administrative Tribunal. Ash also maintains his interest in artificial intelligence (AI). Last year he delivered a workshop paper at the International Artificial Intelligence Conference in Melbourne. He is one of only a handful of lawyers in Australia who knows how to code. He’s a very handy lawyer to have on your side, particularly as AI is becoming a large part of our everyday life. Lydia, my only daughter, is a solicitor at the Sydney office. She has a law degree from UNE and is an expert in statutory compensation schemes. She supervises a team of auditors preparing letters of advice for a government client. She recently managed over 600 applications to NSW Victims Services for reassessments of claims affected by transitional legislation. Lydia has also personally conducted over 100 claims against the NSW Department of Family & Community Services for clients abused at the infamous Parramatta Girls Training School, mainly in the 1950’s, 60’s and 70’s. The law is her main interest and passion. I am so pleased to have her join me in my fight for justice. There are thousands of institutional abuse survivors out there, and Lydia is doing her best to help every single one she possibly can. We have started a crusade against the institutions. This is a long battle we are fighting. It’s rare to see governments and churches easily admit to their dark history. Our team are committed to ensuring every survivor of abuse committed by these institutions finds justice. When you hire Kelso Lawyers: abuse compensation lawyers you are retaining the collective knowledge, experience and wisdom of the Kelso Family. Ashley, Lydia and solicitor Rachel Garrett are highly experienced lawyers in child abuse cases against State governments. Our Newcastle team have pioneered justice for abuse survivors, taking on the NSW Department of Education, Catholic and Anglican Church. You can check out our team page for more information about our brilliant staff. Please contact us today if you are a survivor of abuse committed by the clergy or an institution. We would like to help you.